Life is filled with surprises--fortunately, at Auto Pawn, we're here to help you help you manage them! One of our solutions--a car loan--can provide relief, security, and a chance to look ahead to the future with confidence. 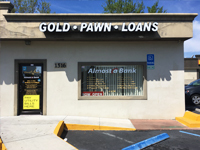 In today's blog, we will be going over some of the situations that a loan from Auto Pawn can help with. Take a look! Whether it's rent, water, or electricity, we count on these services for sustaining our everyday routine. Fortunately, if you need help paying for any of these bills, a car loan can help you take care of them with ease. We know--trips to the doctor aren't always convenient, or perfectly scheduled! While doctor or dentist visits may not be planned, however, they can still be paid for with the help of an Auto Pawn loan. This kind of loan will allow you to get the care you need, without having to worry about what you can or can't afford. Many of us use piggy banks or trip jars to plan for future vacations--but for unexpected travel (to see family members across the country, for example), you can get where you need to go faster with the assistance of a car loan. If you or a family member is enrolled in college, you're probably used to making regular tuition payments for that education. A planning hiccup, however, doesn't have to prevent you from continuing with classes! 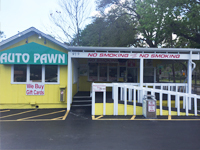 Let Auto Pawn help you with a short-term loan for tuition and other educational expenses, so that you can get back to studying or planning your next big project. 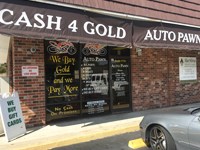 At Auto Pawn, our mission is simple: we want to help eliminate uncertainty from your financial future. No matter your needs, credit, or unique situation, we're confident that we can help you find the solution that works for you. We loan up to $100,000 on anything of value. Just call us today to learn more!